Address: 59th Street, Manhattan, New York City. It is only 6-7 miles from La Guardia Airport. I stayed at Ravel Hotel, which is one block away from the park where you can get a great view of the bridge. 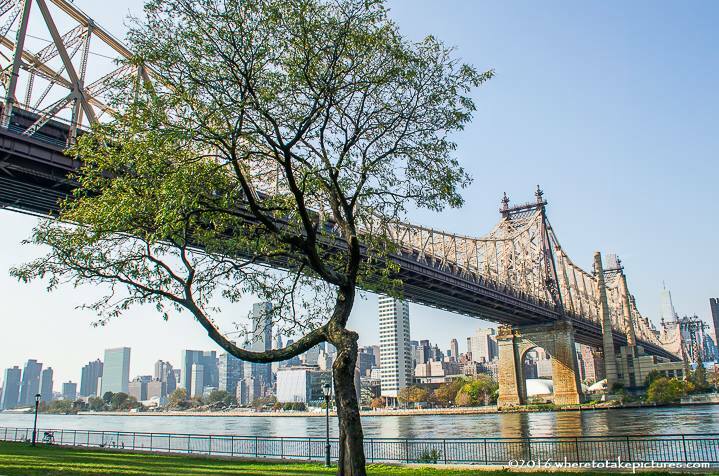 Hours: The park below the bridge on the side of Long Island City is open all the time. Admission fee: Free. Many people walk with their dogs at this small park. It is well maintained and, if you ask me, it felt safe when I visited the park, even at night. Walk towards the river, and you will find a magnificent view. 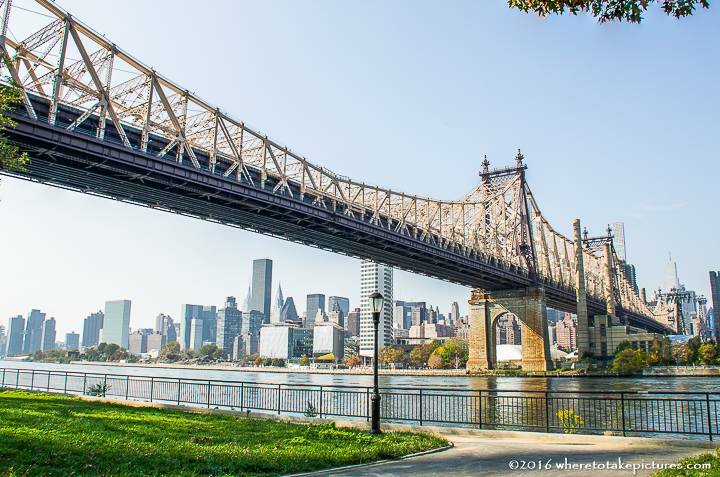 New York City has a number of bridges. 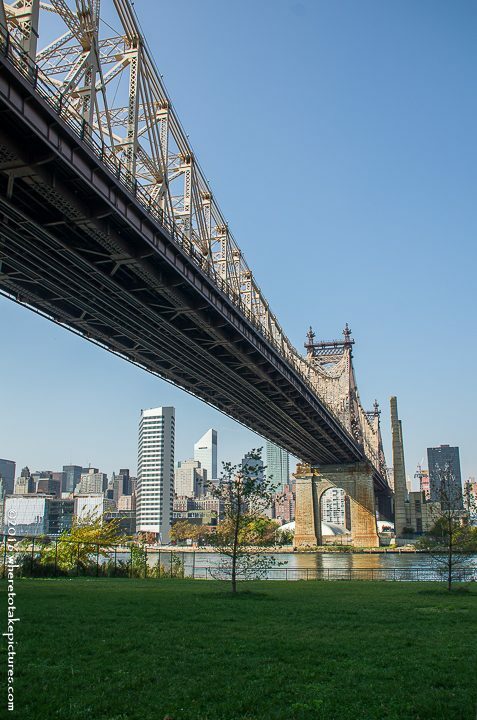 Indeed, it is amazing that several bridges connect the island of Manhattan to other New York City boroughs. Over the East River alone there are 10 bridges. 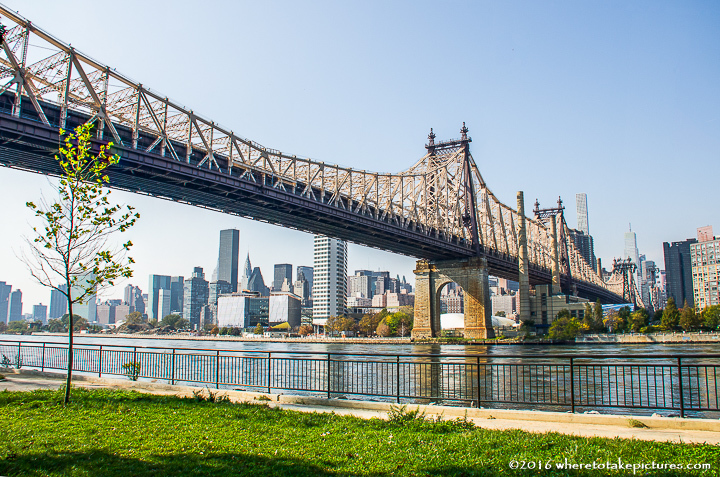 Over the Harlem and Hudson Rivers, there are a few bridges, too. 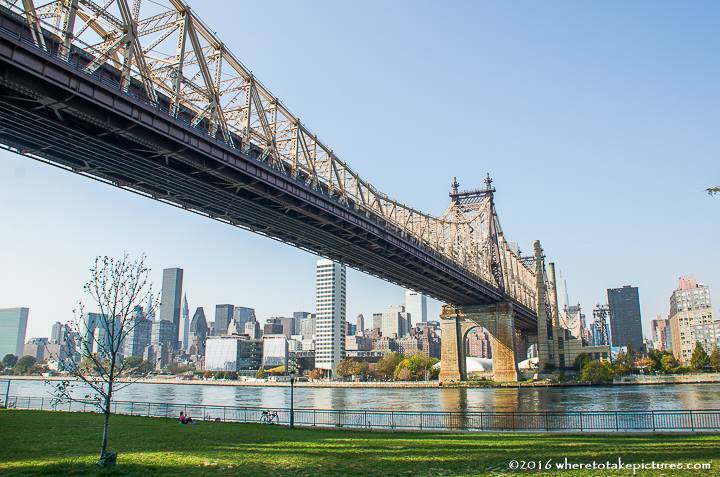 The two most famous bridges are probably Brooklyn Bridge and Manhattan Bridge. 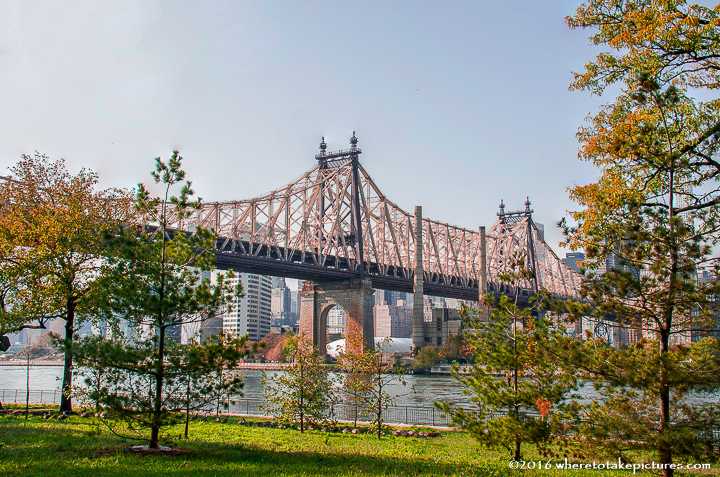 What makes the 59th Street Bridge special is that it connects Long Island City in the borough of Queens with Manhattan, passing over Roosevelt Island. 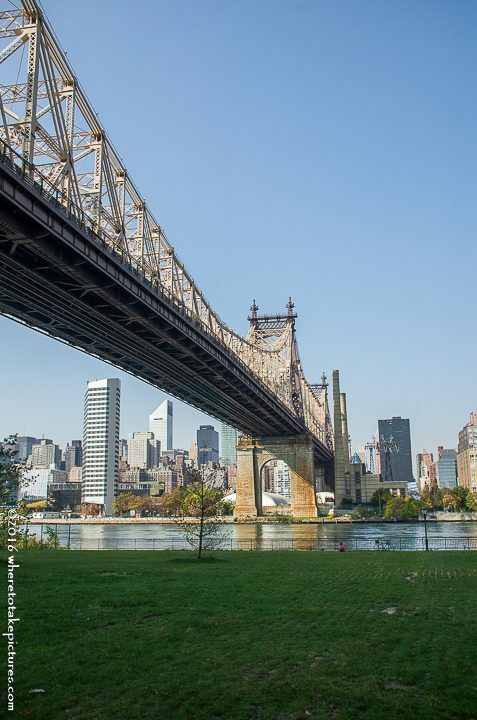 59th Street Bridge is located between 59th and 60th Streets in Manhattan, hence its name, but since 2011 its official name has been changed to Ed Koch Queensboro Bridge in honor of former New York City mayor Ed Koch. 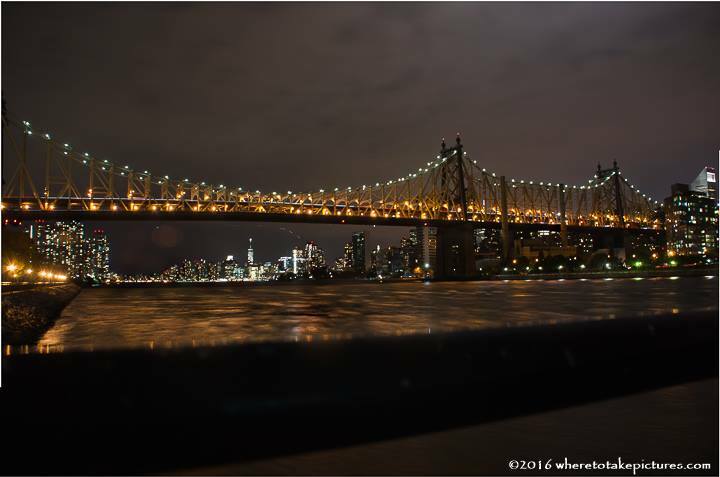 Queensboro Bridge was completed in 1909; the good thing about this bridge is that there are no tolls to use the bridge. It is fall in New York City!